DIYARBAKIR, Turkey (Kurdistan24) – On Saturday, Turkish authorities imposed round-the-clock curfews on the surrounding areas of the southeastern Kurdish city of Diyarbakir after authorities called an end to operations in the towns of Nusaybin and Sirnak. Kurdistan24 office in Diyarbakir learned from Turkish security sources that Turkish authorities announced the start of a round-the-clock curfew on nine towns and villages in the Lice district at 10:30 a.m.
“The curfew has gone into effect since Saturday at 10:30 a.m. and will remain until further notice,” the security sources said. On Friday, Turkish authorities called an end to operations in the town of Nusaybin near the Syrian border, and in Sirnak province near the border with Iraq. Both towns have experienced curfews before. On March 14, authorities declared a curfew for nearly three months. Civilians in the towns witnessed unceasing shelling after clashes between the Turkish army and Kurdistan Workers’ Party (PKK) fighters, along with their new youth formations YPS and HPG. 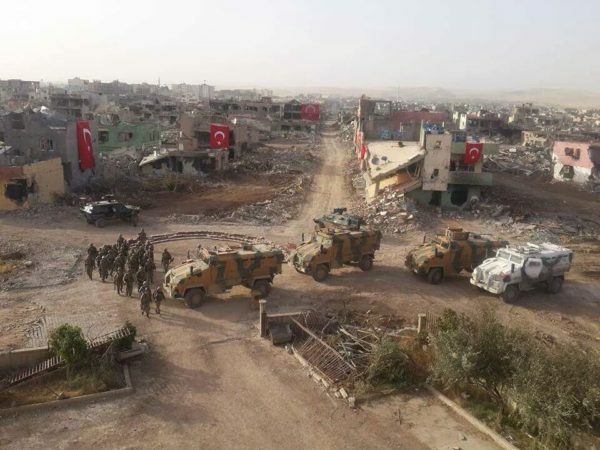 Regarding the casualties of the three-month operation by the Turkish authorities on Nusaybin and Sirnak, the Turkish state-run press agency Anadolu Agency (AA) reported that hundreds of Kurdish fighters were killed. Turkey’s southeast has been scorched by violence since a ceasefire between the PKK and the Turkish government collapsed last July. Round-the-clock curfews were instituted in parts of the southeast.